The journey begins when, in late June or July, the female stag beetle burrows down up to around 30cm (12″) into the ground to lay her eggs. 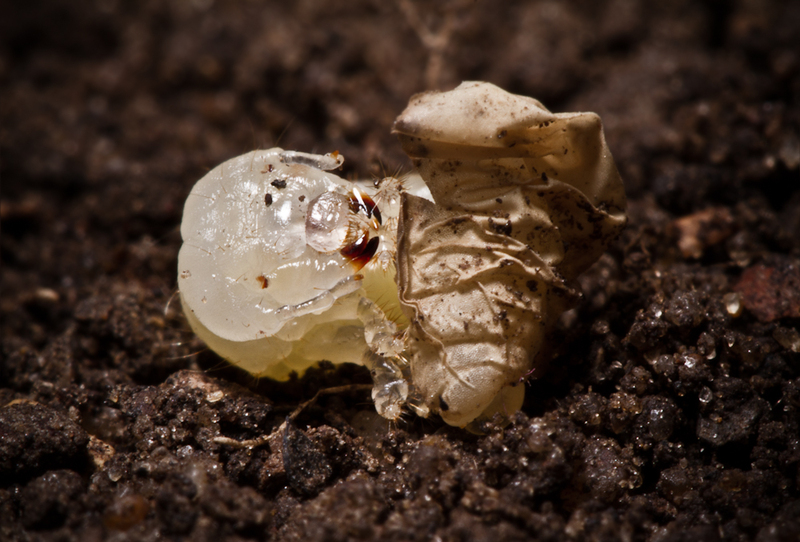 She will lay up to 21 eggs in the soil near to some rotting wood, which will become the home to any larvae that hatch. 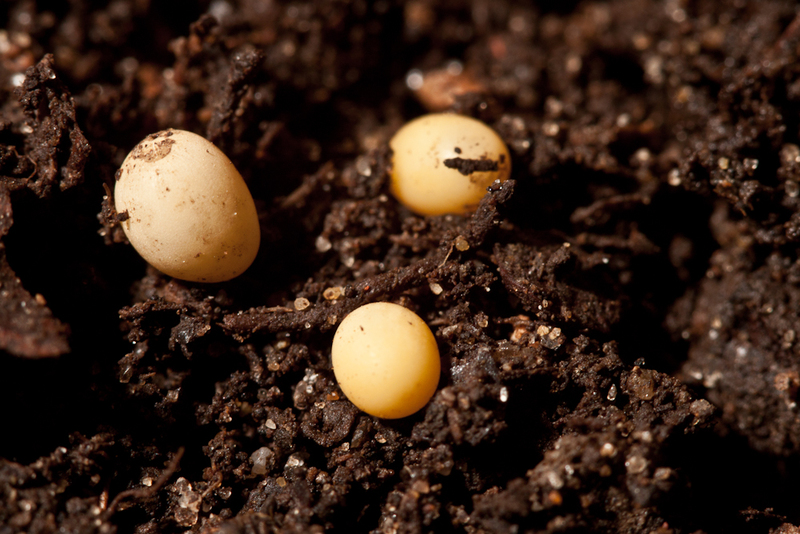 The eggs are only a few millimetres long and cream in colour and hatch after about three weeks. In the time between being laid and hatching, the eggs become rounder in shape and a tiny larva will be visible developing inside. 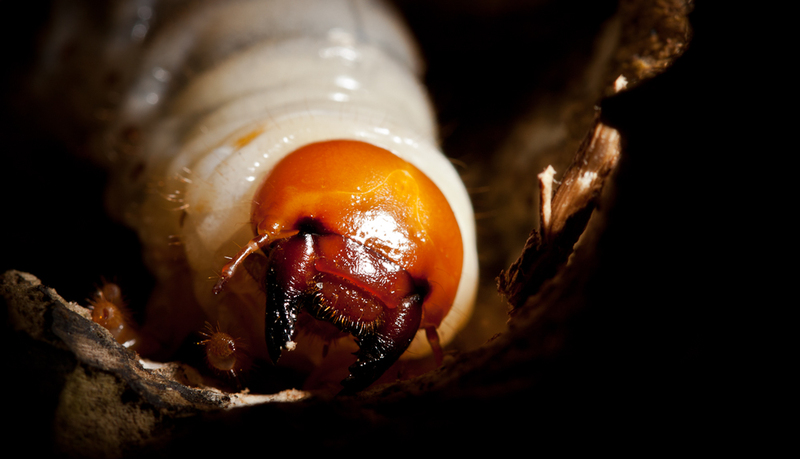 For the next 5-6 years the larva remains underground at all times, moving between the rotting wood and the surrounding soil. As it chews through the wood it leaves behind a network of tunnels and C-shaped chambers. The larva’s skin becomes tight as it gradually grows and eventually it has to shed its skin. The head-case splits open allowing the larva to gradually wriggle free of its old skin. This process will happen four times across the larva’s life.